The Rotary Foundation is the National charitable arm of Rotary, we tap into a global network of Rotarians who invest their time, money, and expertise into our priorities such as eradicating polio and promoting peace. Foundation grants empower Rotarians to approach challenges such as poverty, illiteracy, and malnutrition with sustainable solutions that leave a lasting impact. Through its Polio Plus program, established in 1985, more than one million Rotary club members have volunteered their time and personal resources to protect more than two billion children in 122 countries from polio. To date, the organization has contributed more than US$700 million -- a figure that will rise to more than $850 million by the time the world is certified free from polio. Rotary club members, known as Rotarians, also provide valuable support in the field during National Immunization Days and work diligently to secure essential political and financial support from both polio-free and polio affected governments. 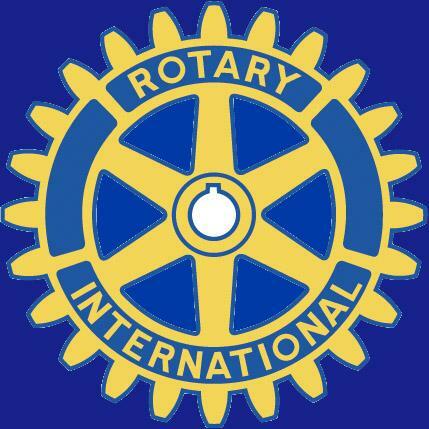 Every year Rotary club of Rossendale, subscribes around 200 to the Rotary foundation fund to carry out above works. Not only we give yearly subscription we are also raising extra fund for polio eradication by selling crocus flowers and Tomato sauce bottles filled with loose changes. Recent development on polio are that we have successfully eradicated polio from India. We still have hard tasks in our hands to eradicate polio from Nigeria and Afghanistan . Each year, Rotary funds some of the worlds most dedicated and brightest professionals to study at our Rotary Peace Centers. These fellows are committed to the advancement of peace, and often go on to serve as leaders in national governments, NGOs, the military, law enforcement, and international organizations such as the United Nations and World Bank. Every year Rotary Foundation promotes peace fellowship, all expense paid by the Rotary Foundation. There are usually 12/13 peace scholars around the world and studied in University of Bradford. This year the peace conference will be held at Bradford University on 26th October and 2 delegates from this club will be attending and report back to the club with the progress/findings. Besides our Bradford University there are other universities in USA, Japan, Australia and Sweden provides same facilities. Bradford the best as they all said!!!! This programme for Rotary foundation at this moment in time on hold as new system will be introduce with next 2/3 years. Foundation grants empower Rotarians to approach challenges such as poverty, illiteracy, and malnutrition with sustainable solutions that leave a lasting impact. 1. Matching Grants usually for a big project around $10,000 total project fund (to include host club and International club) host club makes 1/4 contribution, International club 1/4 and 1/2 from Rotary foundation. 2. District Simplified Grants are done by our district 1190 but limited to 5,000 total grant works same way as above.